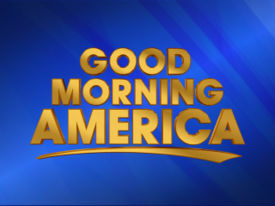 ABC's Good Morning America sent Robin Roberts down South to broadcast live, from the Gulf Coast, this morning. I captured the show and edited out the non-Mississippi parts. This will mark my first attempt to mess with captured video. I had to muscle my way through a couple of programs before I could get it close-to-right. I'm not super impressed with the final product, but I am proud of my efforts. If nothing else, it was a learning experience. Two notes about the show. Robin initially broadcasts from Trinity Episcopal Church, in Pass Christian, Mississippi. I was married in that church. It was beautiful. I also held my High School Graduation Ceremony at that church. It, however, was unremarkable. Shortly after the storm, Cindy inched her way to the site, to see what was left. There wasn't much. Only the frame of the building and a few chandeliers survived. The rest was gone. Outside of it, only a large brass bell remained on the grounds. Nothing else was salvageable. Seeing the remains again touched both of us in uncomfortable places. Rekindling feelings we had thought we were past. Like suddenly realizing it is the anniversary of a dead family member. Also, early into the first episode, Robin flies over the border of Long Beach and you can see my brother-in-law's subdivision. It's the graveyard of streets with bare foundations in all but a handful of places. A fairly new neighborhood, mercilessly wiped from the face of the earth. It's still unrecognizable as you drive past. And sun-bleached "For Sale" signs occupy almost every lot. Otherwise, I think the rest speaks for itself. We're still rebuilding. It will be years before we're able to say, "We're done." But we'll get there. One day.